A good skin cancer screening in Maryland is more important than you can even imagine. Despite increased awareness and proactive measures, skin cancer remains the most common cancer in the United States. While melanoma is the deadliest form of skin cancer, it is also one of the rarest. Basal cell carcinoma and squamous cell carcinoma are much more prevalent and often curable. In fact, most cases of skin cancer can be successfully treated when caught early. For this reason, it’s essential that women and men are vigilant about self-exams and annual screenings. Continue reading to learn about the importance of skin cancer screening in Maryland and what you can expect from a professional examination. Why is Skin Cancer Screening Important? One of the key differences between skin cancer and other malignancies is that it is visible on the skin’s surface. Accordingly, skin cancer screenings in Maryland are a quick, non-invasive, painless, and highly-effective way to detect skin cancer at it earliest and most treatable stages. In addition to practicing daily prevention, women and men should perform a monthly head-to-toe self-exam. 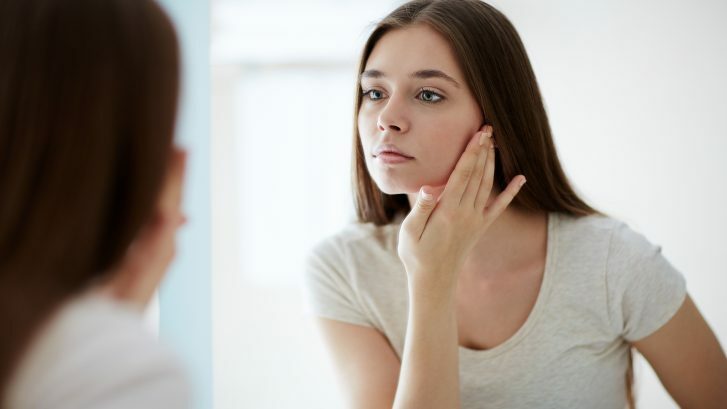 Assign a specific date each month to thoroughly inspect your face and body for suspicious lesions, including flesh colored, pearl-like bumps; red, firm bumps; scaly patches; and sores that won’t heal. It’s also important to track changes and evaluate moles and markings according to the ABCDE rule. This means taking note of any asymmetry, irregular borders, color that is not uniform, diameter greater than 6mm (the size of a pencil eraser), and evolution in appearance. If you have any concerns following a self-check, schedule an appointment with your dermatologist immediately. While at home cancer screening is essential for early detection, patients should also undergo a professional skin cancer screening with their doctor each year. A board-certified dermatologist like Dr. Verghese can perform the evaluation in approximately 10 minutes and will closely examine any suspicious moles, growths, or lesions. If further assessment is necessary, he may obtain a sample of skin from a particular lesion for a biopsy. You will also have the opportunity to ask questions and receive recommendations for skin cancer prevention and different treatment options, including Mohs Surgery and Superficial Radiation Therapy (SRT). To schedule your annual skin cancer screening with Dr. George Verghese, please contact our office today.